Donated by a kindly mate who graced our warm interiors one weekend and left the guest room pleasingly tidy on departure. It’s mid-week and I can’t be fagged with this alcohol-free school-night twaddle so I’m cracking this sucker with a spicy tomato lamb-shank stew. The colour is a light straw. I have to say I was momentarily startled on opening this wine – it hit me in the nose with a brazen sweetness and obvious oak (it says subtle on the website!). 'Twas not what I was expecting from this generally reserved producer from Margaret River, although I found it somewhat impressive initially. 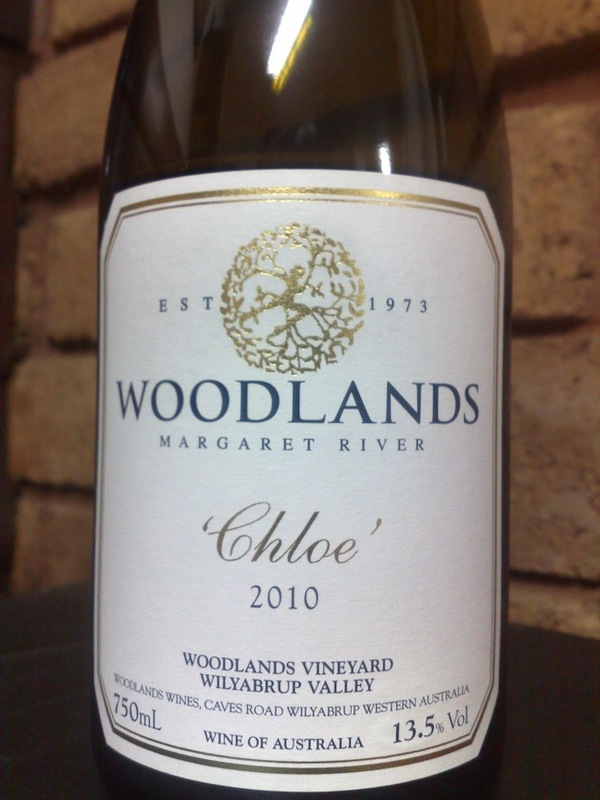 Greenish fruits and lifted floral notes burst forth, followed by lychee and kiwi-fruit, some obvious oak (new?) that looked a little coarse and ‘chippy’ to be honest. But overall a steeliness pervaded which brought a sense of seriousness to the whole shebang. My additional notes say grapefruit stoniness, lime zest and melon – all the usual suspects from this style and region. There’s also a banana sweetness that you either love or hate – I don’t mind it unless it’s excessively sweet – this was borderline. You know what? It's been bugging me, but I’ve just nailed the aroma – and you have to like your wheatbeer, because that’s what it is. I get yeasty, banana-and-clove, coriander and orange peel. Yep, that’ll do. It's just like a wheatbeer. The palate had more traditional Margs chardonnay character of peaches and melon and fig, a touch of lemony sweetness and a line of minerality. The acid was wound back and the palate creamy and friendly (despite a little oaky coarseness). I had very few notes on the palate and I must say the wine fell away on the back and failed to hold my interest to the final page. It just seemed.. well, it seemed adequate. Damning with faint praise I know, and I wanted to be more excited, but.. Probably underwhelming on the whole, but I need to remember this is a $23 bottle of Margaret River chardonnay and it did punch the right buttons for flavours with a healthy dose of oak treatment. But I wanted more. As a food accompaniment the wine struggled and ultimately wasn’t strong enough to defend itself against the lamb-shank stew. On face-value it shouldn’t have been a poor match. Too much spice? Value: $23 via mail order. It is probably priced about right from a producer of this regard. You may get better value around Margaret River but it’s nice to see they haven’t gone stupid with pricing in light of the reputation for their reds. Producer: Woodlands Wines – www.woodlandswines.com – a ten hectare property established in 1973 by the current owners: the Watsons. This wine is called ‘Reserve’ on the label and is fermented in French oak for 10 months. Region: Margaret River, West Australia, located in the famed Wilyabrup Valley.